Srinagar: Government has announced to confer meritorious public service award to controversial Principal SKIMS Medical College Bemina Dr Reyaz Untoom, who had allegedly violated the official rules, and gave 10 year age relaxation so as to make way for his wife to get appointed as a lecturer in the SKIMS College Bemina. “Sanction is hereby accorded to the grant of State Awards on the Republic Day, 2019 in favour of..Dr Reyaz Untoo, Principal SKIMS Medical College Bemina for his meritorious public service”. 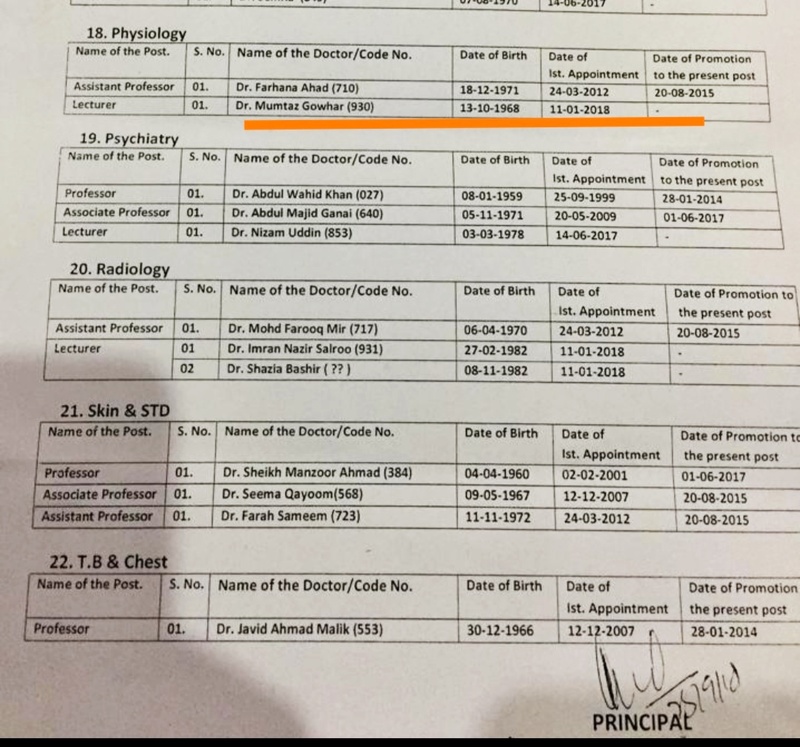 According to the documents lying with The Kashmir Press, Untoo provided 10 years age relaxation to his wife, Dr Mumtaz Gowhar, 50, to pave way for her appointment as lecturer in Physiology and Biophysics on January 11, 2018. As per the rules, no candidate over the age of 40 is eligible for a government job. After this news was reported in media, it drew widespread criticism from the public who considered it as a clear case of nepotism. Untoo could not be reached at the time of publishing this story. His version will be updated soon when he will be contacted. A candidate, who got dropped during the selection process for the given post, too alleged that Untoo had conflict of interest in recommending age relaxation by 10 years for his wife. A dropped out candidate Dr Sheikh Ishfaq, 33, who had PhD in Biophysics from AIIMS and post-doctorate from Ohio University Medical USA, had written to former Chief Minister Mehbooba Mufti on October 18, 2018 to intervene as SKIMS authorities have preferred under qualified candidate over him for the post of lecturer in Biophysics. 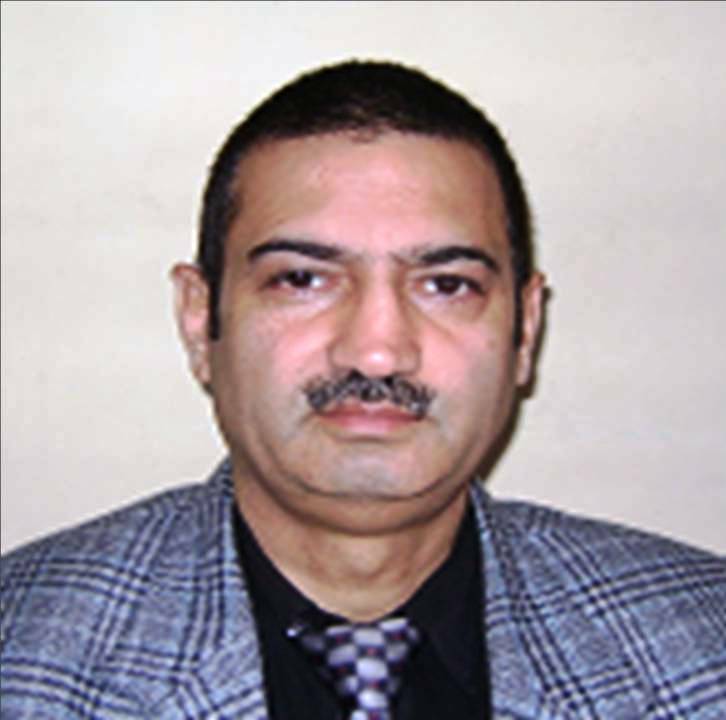 Ishfaq, who is currently working as Associate Professor at King Fahd Medical Research Centre, King Abdulaziz University, Saudi Arabia, had applied for the post of lecturer Biophysics in 2015. 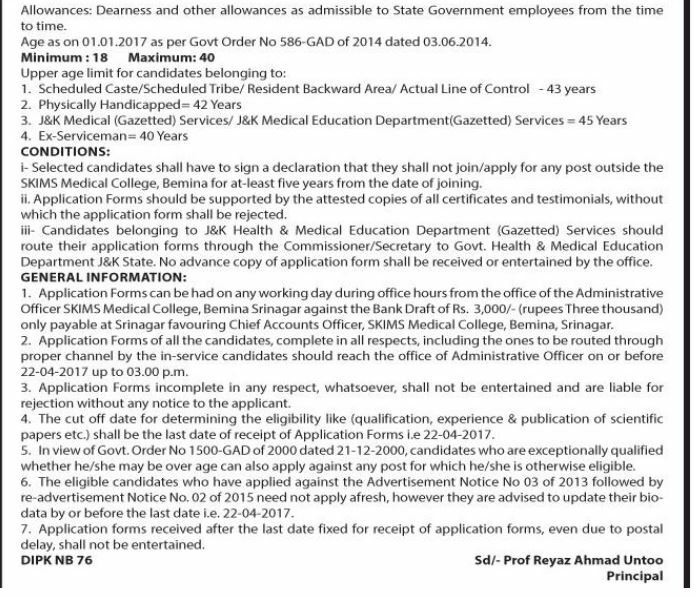 However, the SKIMS authorities didn’t conduct the interview for the post. The SKIMS re-advertised the post in April 1, 2017, with a major change that for the Biophysics position, candidates with physiology background can also apply. Ishfaq stated that the change was done to bring Principal’s wife, who has physiology background, at par with the Biophysics candidates.